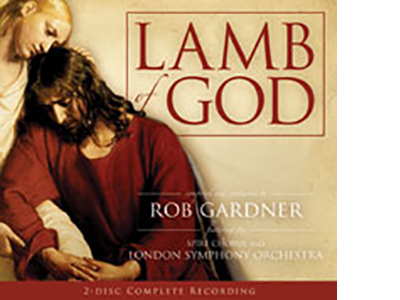 We are excited to announce that the Minnesota Mormon Chorale & Orchestra will again be performing the beautiful Easter oratorio Lamb of God by Rob Gardner, on Sat. March 23 & Sun. March 24th, 2013. The oratorio features the choir & orchestra, 13 vocal soloists, 1 cello soloist, and 2 narrators. The oratorio not only tells the Easter story of the final days of the Savior’s earthly ministry, but also tells each person’s view of those very special events, from Peter’s denial and real testimony of Jesus to Mary’s understanding of the blessedness of His sacrifice. Jesus Christ is not portrayed by a singer on the stage, instead a cello soloist represents the Savior in the music, helping us feel His presence and spirit throughout. To hear clips of the music, click on the link below, and then select PREVIEW, and listen to samples of the solos and choir: http://www.spiremusic.net/servlet/Detail?no=66. Complete rehearsal schedules for soloists, choir, cellist and narrators will be provided at the first scheduled rehearsal on Thursday, January 17th, and will be posted on this blog. Performance dates are currently scheduled for Saturday, March 23rd and Sunday, March 24th. Additional performances may be scheduled. Check here again for a final performance schedule announcement. Soloist auditions will be scheduled with the director and will be selected by Thursday, January 31st. Musicians of all faiths in the Twin Cities and surrounding areas are invited to participate in Lamb of God. The performance is being hosted by the Minnesota Mormon Chorale, but all are welcome to attend as performers or as audience. All vocal and instrumental positions are volunteer only, with no paid positions. Participation is through audition only. Vocal and instrumental soloists should be prepared to audition with a song that shows their range and technique as a soloist. Soloist Auditions/Requirements**: Thursday, Jan 17th (9-10 pm) and Jan. 24th (6-7 pm & 9-10 pm). Other date(s) as needed.Audition times on Jan 17th and 24th should be scheduled by sending an email and a preferred hour for auditioning 6-7 pm or 9-10 pm to director@mnmormonchorale.org or calling director Erin Gray, at 763.229.7651. Those without audition appointments will be scheduled as time permits. Please note that all soloists may be asked to also learn the choir parts and sing as part of the choir in this ensemble-type performance. **We are accepting video auditions for those who live outside of the metro area. 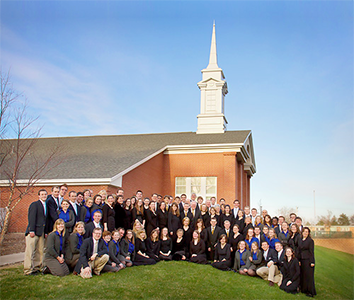 Please upload your video to YouTube and send the link to director@mnmormonchorale.org on or before January 24th. You may use the CD as accompaniment as long as your voice can be clearly heard over the soloist. You may audition for more than one part. However, it is required that all those auditioning in person or via video prepare the following excerpts according to the part for which you are auditioning (LofG vocal sheet music found here). Cello soloist: the cello soloist represents Jesus Christ in the music and should be capable of carrying a strong and expressive cello voice throughout the oratorio.